Hi guys, today I have another Webinar that I participate about Appium, how to choose the automation mobile tool, how should be the structure, etc. You can watch online or download, just click in this link to start. You can jump the advertisement moving to 00:10:51 of the video. Also, you can jump to 00:23:12 and watch the demo. To jump the demo go to 00:40:00. – HTML: web applications which runs in web browser. – Native: just native elements, apps which doesn’t have html elements. – Hybrid: mix of native elements and html elements. – How choose the automation tool ? – Verify how you inspect the elements. 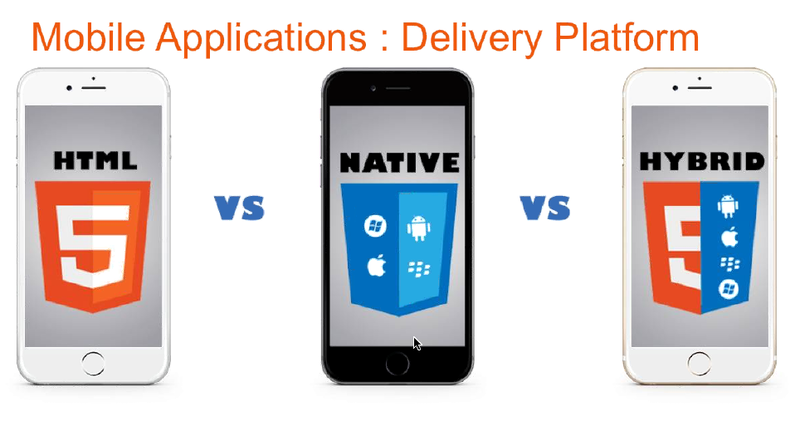 – Scalability, How many devices supports (IOS, windows phone, tablet, kindle, ipad, etc). – Integration with other tools like Jenkins, JIRA, etc. – Cloud, If this tool supports cloud tests (Amazon cloud, Sauce Labs, etc). Open source automation test automation framework for native, hybrid and mobile apps. Supports: Real devices, Simulators, Native Apps, Hybrid Apps, Mobile Web Apps (IOS and Android only). Environment: Appium, Android Studio (Sdks) and Eclipse. 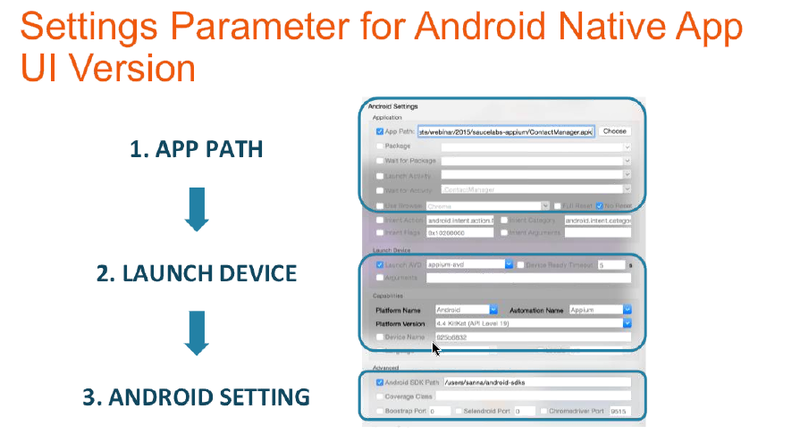 Setting parameters: App device, launch device, android setting (path of sdks). – Do some proof of concepts (The configuration it is the hard and most boring part for me). – Share the right quantity of tests between emulators and devices. – Distribute the right level of tests between unit (70%), integration (20%) and manual tests (10%). – Remember that if you are using BDD, it is just 3 layers. – Use CI since the beginning. – Decide what must to have in the report. – Considerate the language which the developers are using (You never know when you will need help). Hi guys, today I will post a simple project that I did just to catch some information with Selenium and Java. So, I have a spreadsheet with some urls in the first column and when I run the project, it is being recorded the status code of the urls and how long is lasting to load this page in the following columns. It is very simples. I know that there are many ways to do that and you don’t need to use selenium because will take more time to render the page and everything, but maybe someone is needing something similar. So, now the code and in the bottom the link to my project. Workbook wb = new HSSFWorkbook(new FileInputStream(file. Thanks guys ! See you next week, if you have any questions, suggestion please feel free to comment below. When should I do End-to-End Tests ? Developers like it because it offloads most, if not all, of the testing to others. Managers and decision-makers like it because tests that simulate real user scenarios can help them easily determine how a failing test would impact the user. Testers like it because they often worry about missing a bug or writing a test that does not verify real-world behaviour; writing tests from the user’s perspective often avoids both problems and gives the tester a greater sense of accomplishment. It’s fast. No developer wants to wait hours or days to find out if their change works. It’s reliable. No developer wants to spend hours debugging a test, only to find out it was a flaky test. It isolates failures. To fix a bug, developers need to find the specific lines of code causing the bug. Unit tests are fast. We only need to build a small unit to test it, and the tests also tend to be rather small. Unit tests are reliable. Simple systems and small units in general tend to suffer much less from flakiness. Furthermore, best practices for unit testing – in particular practices related to hermetic tests – will remove flakiness entirely. Unit tests isolate failures. Even if a product contains millions of lines of code, if a unit test fails, you only need to search that small unit under test to find the bug. With end-to-end tests, you have to wait: first for the entire product to be built, then for it to be deployed, and finally for all end-to-end tests to run. Although end-to-end tests do a better job of simulating real user scenarios, this advantage quickly becomes outweighed by all the disadvantages of the end-to-end feedback loop. Unit tests do have one major disadvantage: even if the units work well in isolation, you do not know if they work well together. For that, you can use an integration test (more simple than end-to-end tests). An integration test takes a small group of units, often two units, and tests their behaviour as a whole, verifying that they coherently work together. Even with both unit tests and integration tests, you still need do a small number of end-to-end tests to verify the system as a whole. End to end tests are very important even that you let this for the last phase. What is the right balance ? To find the right balance between all three test types, the best visual aid to use is the testing pyramid. Here is a simplified version of the testing pyramid from the opening keynote of the 2014 Google Test Automation Conference. The bulk of your tests are unit tests at the bottom of the pyramid. As you move up the pyramid, your tests gets larger, but at the same time the number of tests (the width of your pyramid) gets smaller. Google often suggests a 70/20/10 split: 70% unit tests, 20% integration tests, and 10% end-to-end tests. The exact mix will be different for each team, but in general, it should retain that pyramid shape. How can I choose what will be the tests for each phase ? End to end tests: Choose the flows/functions most used for the client. Integration tests: Focus in the integration between the functions. E.g. If you register a new client, you should be able to see the new client in the search of the admin site, etc. Hope you like it guys, I read the original article and it seemed to me that the guy doesn’t think it is too important end-to-end tests. I don’t agree with it, maybe for this reason I changed the way he was speaking about (If you still want to do end-to-end tests). End-to-End tests is important as any other test phase, the difference is that you don’t need to do all the small tests in this phase. It is just my thought… And you can write your comment, suggestion too in this post. Hey guys, today I will post a webinar that I joined last week about Mobile CI. It is very interesting, so you will see briefly when you need to use, why, how it works, etc. It lasts 43 minutes so, make sure that you have time to watch. Jump to 00:27:35 to watch the demo of Sauce Labs. What is CI for mobile ? How choose the right process ? When to use devices vs simulators/emulators ? – Emulators and Simulators are an excellent solution for running automated tests during development. They are inexpensive and will reliably catch most problems. – Physical Devices can be used on a lower frequency (i.e. pre-release, weekly, daily, etc.). They are the only way to catch performance problems, test certain hardware features and find OEM issues. In the least, devices should be used before every release. Which framework to use ? Thank you guys, thank you Sauce Labs ! Hope you like it ! What is the cost of a bug? How to update a xml with shell script ?